Draft: 1996, Atlanta Braves, Cth rd. Jason Scott Marquis (mar-KEE)...he and his wife, Debbie, have two daughters, Reese and Alexis and oneson, Andrew...graduated from Tottenville (NY) High School where he played baseball and basketball andwas a member of the National Honor Society...originally signed by Braves' scout John Hageman. Began the year with the Twins organization before signing as a minor league free agent with the Padres on 5/29...made 15 starts total for SD before having his season cut short to a stint on the DL.Began the season with the Minnesota Twins organization, making two starts for Triple-A New Britain and sevenstarts for the Twins before being released on 5/26.Signed by the Padres to a Minor League contract on 5/31...made one start for Double-A San Antonio on 5/31,working7.0 innings of one-run ball before being selected by the Padres on 6/7.In 15 starts for San Diego from 6/7-8/21, went 6-7 with a 4.04 ERA (42 ER/93.2 IP) and 79 strikeouts against 28walks, with the Padres 8-7 in his starts.Over his first 10 starts for the Padres from 6/7-7/25, was 4-5 with a 3.48 ERA (24 ER/62.0 IP) and 56 strikeoutsagainst just 17 walks, with the Padres 5-5 in those starts.Recorded 39 strikeouts over his first six starts and 38.2 innings pitched for the Padres from 6/7-7/4, which werethe second-most strikeouts all-time by any pitcher through their six starts as a Padre behind only LHP Oliver Perezwho had 40 through his first six starts for SD in 2002 (STATS Inc.).Recorded a season-high 10 strikeouts on 6/18 vs. TEX, tied for the most by a Padre in 2012...was the seconddouble-digit strikeout game of his career (also, 13 on 8/3/01 at MIL)...span of 10 years, 320 days and 268 startsbetween his two 10-strikeout games, the second- longest such stretch of time in Major League history according toELIAS, behind only Steve Gromek (10 years, 327 days from 7/25/44-6/17/55)...also according to ELIAS, the spanof 268 starts between 10-strikeout games was also the second-longest such stretch behind Paul Derringer (290starts, 4/21/35-8/29/44).Tossed a complete game two-hit shutout on 8/11 at PIT, the eighth CG of his career and fifth shutout, first since4/29/11 vs.SF...two-hitter matched his career low in hits for a CG, his third-career two-hitter and first since 6/30/09at LAD...did not allow a hit to the Pirates until the first batter of the seventh inning, an infield single to Travis Snider.According to ELIAS, his 8/11 at PIT start was the first time in his 287 Major League starts, up to that point, to carrya no-hitter through the first six innings of a game...previous closest was spoiled with one out in the sixth inning on5/9/07 vs. PIT and 6/23/11 vs. SEA.Placed on the 15-day DL with a fractured left wrist on 8/23 after his 8/21 start vs. PIT, missing the remainder ofthe season. Agreed to terms as a Major League free agent on a one-year contract for 2013 with the Padres on 12/3. Started the season with Washington and went 3-0, 2.62 (34.1 ip, 10 er) in his first fivestarts, April 5-29...Fifth careercomplete gameshutout, allowing five hits with no walks and seven strikeouts,April 29 vs. San Francisco...Went 7-2 in his first 13 starts, April 5-June 10...the Nationals went 12-3 in his first 15starts (6-0 at home)...Was traded to the Arizona Diamondbacks for infielder Zach Walters, July 30...made justthree starts for the Diamondbacks...Placed on the 15-day disabled list with a fractured right leg, August 15...he suffered the injury after being struck by a line drive off thebat of Josh Thole, August 14 vs. New York (NL)...Transferred to the 60-day disabled list, August 23...elected free agency, October 30. Battled injury to right elbow and finished just 2-9 with a 6.60 ERA in 13 starts in first season with the Nationals...startedthe Nationals' 2nd game of the season...went 0-3 with a 20.52 ERA through initial 3 assignments with Washington andwas placed on the 15-Day DL on April 21, retroactive to April 19...after one rehab start, had loose bodies removed fromright elbow by Dr. Timothy Kremchek on May 14 in Cincinnati, OH....began throwing program one month post surgery,but did not pitch again in a game until July 18 with the GCL Nationals...in 4-start rehab stint with Syracuse (2 starts),Harrisburg (one) and GCL Nationals (one), combined on a 4.15 ERA (8 ER/17.1 IP)...walked just 4 and fanned 18 in17.1 innings...made 10 starts for the Nationals in the season's final 2 months, going 2-6 with a 4.29 ERA post-surgery...allowed 6 runs in just 0.1 innings on Sept. 17 at PHI, otherwise post-surgery ERA would have been 3.24...earnedfirst win with the Nationals on Aug. 30 at FLA, then followed with 2nd win, Sept. 5 at PIT. Earned first All-Star citation (did not pitch in Mid-Summer Classic at STL) en route to finishing 15-13 with a 4.04 ERA in33 starts in lone season with COL...matched Ubaldo Jimenez for the Rockies team lead in wins and starts...career-high216.0 innings ranked 8th in the NL...15 wins ranked 4th in the NL and matched a career high set in 2004...ranked 2ndin MLB by inducing 395 ground balls, while 2.15/1 ground ball-to-fly ball ratio ranked 4th in the NL...also ranked amongNL leaders in GIDP's induced (tied for 2nd, 28), innings (7th, 216.0) and starts (tied for 7th)...strong season was aidedby a 23 percent drop in home runs allowed per 9.0 innings and a 13 percent drop in walks per 9.0 innings as comparedto 2008...was just COL's 4th All-Star pitcher after pacing the NL in first-half wins (11)...posted better ERA (3.92) in 16starts at Coors Field than in 17 road starts (4.16)...was one of just 21 NL starters to register at least 21 quality starts...notched 11 quality starts in 16 assignments in Denver...the 11 quality starts at Coors Field matched Jimenez's singleseasonmark set in 2008...was touched for one earned run or less 11 times in 33 starts. Game-By-Game Highlights: Needed just 86 pitches to throw 3rd-career shutout, a 2-hitter, in COL's 3-0 win at LAD,June 30...went the distance in a 5-1 win on May 2 at SFG. Went 11-9 with a 4.53 ERA (167.0 ip, 84 er) in 29 games (28 starts) for the Central Division champion Chicago Cubs in 2008...was 7-3 with a 3.25 ERA (80.1, 29 er) in 13 road starts...his 7 road vic- tories were tied with Carlos Zambrano for 2nd-most on the team (Ted Lilly, 10)...boasted a 7-3 mark with a 4.20 ERA (96.1 ip, 45 er) in 16 starts during the day, compared to a 4-6 record with a 4.73 ERA (70.1 ip, 37 er) in 12 night games...the team scored 3 or fewer runs while he was on the mound in 15 of his 28 starts, including three of his final five starts of the season...pitched into the 6th inning in his final 13 starts of the season dating to 7/1 at SF...was 5-4 in 11 starts after the All-Star break, recording a 4.41 ERA (67.1 ip, 33 er) in that span...went 6-5 with a 4.44 ERA (99.1 ip, 49 er) in 17 starts prior to the break...did not allow a home run in a career-high six consecutive starts, 8/13 (G1)-9/17...broke his previous run of four consecutive starts without allowing a long ball, done multiple times including 5/29-6/14 of this season...enjoyed a season- high, 5-game winning streak, 5/18-6/21...had a 3.64 ERA (42.0 ip, 17 er) in seven starts during the streak, limiting the opponent to a .237 batting average...the club scored one or no runs while he was on the mound in five of six starts from 6/26-8/1, in which he went 0-4 with a 5.25 ERA (36.0 ip, 21 er)...belted his first career grand slam and had career-best 5 RBI on 9/22 at New York against the Mets; was the first Cub pitcher to hit a slam since Kevin Tapani on July 20, 1998 (off of Atlanta's Denny Neagle at Turner Field)...tied the Cubs single-game mark with 5 RBI by a pitcher (Milt Pappas had 5 RBI 8/11/72 vs. the Mets...batted .203 (12-for- 59) with 2 homers and 10 RBI, tying his career high also done in 2005 with St. Louis...appeared in Game 1 of the NLDS vs. the Dodgers, allowing a 9th-inning run in Chicago's 7-2 defeat (Cubs lost the series). Won 12 games in first season with CHI...when going at least 6.0 innings, CHI finished 15-2...8 of 12 wins came atWrigley Field...tossed 2nd career shutout, a 3-hitter that featured zero walks and 5 strikeouts, in 1-0 win on May 9 vs.PIT...on June 25 vs. COL, reached the 1000 career-inning plateau. Notched 50th career win (June 4 vs. CHI) while going 14-16 with a 6.02 ERA in 33 starts for World Champion Cardinals...11 of 14 wins came prior to the All-Star break...became the 3rd pitcher since 1900 to win at least 14 games andregister an ERA in excess of 6.00 (Wes Ferrell, 15-10, 6.28 for '38 Senators and Guy Bush, 15-10, 6.20 for '30 Cubs)...twice was taxed for double-digit earned run totals (13, June 21 at CWS and 12, 7/18 vs. ATL). Marquis battled through an up and down year and posted a career season high in innings pitched with 207.0 while falling a winshort of a .500 record. Made his first appearance out of the bullpen as a Cardinal, and first since 9/28/03 at PHI while with ATL, on 9/27 vs. HOU.Surrendered solo HR to Biggio as only blemish in 2.0 innings of work. Walked just two batters in his last five starts (39.0 IP). Snapped a seven-game losing streak with his first career complete-game shutout in 8/27 start at WSH. Followed that up withsecond straight complete game effort in a 4-1 win at HOU on 9/4. He was the first Cardinals pitcher to lose seven games in-a-row since Jose Jimenez lost seven straight from 4/28-6/4, 1999. In four of those seven losses the team provided one run or less of support and scored just 17 runs total (2.43 runs/start). Cards won just six of Jason's last 19 starts, but won five of the last six. Went 1-3 in five July starts despite a 2.80 ERA. Cards provided him with just 14 runs (2.8/game) in those 5 games, includingsingle runs in 3 games. He worked 6.0-plus innings in all but nine of his 32 starts. Fashioned an 8-6, 4.18 mark in 19 games (18 starts) vs. NL Central clubs. Was 6-7 with a 4.61 ERA in 16 outings (15 starts) at Busch & 7-7, 3.48 on the road (16 starts). Had a career high 27 hits with 24 coming as a pitcher & three as pinch-hitter. His 24 hits as pitcher ranked 1st in the N.L. andhis 10 RBI 2nd. Had eight doubles, one triple & one home run among his 27 hits...had nine PH at-bats, collecting PH singles6/1 at COL, 8/9 at MIL & 8/11 at CHI. Matched his career high with three hits 6/4 at HOU, including second career HR. The 27 hits were the highest total for a big-league pitcher since Rick Rhoden had 28 in 1984. His 10 extra-base hits were thehighest extra-base hit total by a pitcher since 1986, when Rhoden had 10. Ranked 16th in the N.L. with a 1.59 ground ball/fly ball ratio (350/220). Induced 29 DP's, which ranked T-4th in the N.L., and ranked 4th in N.L. with 1.26 GIDP/9 IP (29/207.0 IP). Averaged 101.25 pitches per start. Threw 132 pitches in his start 7/27 at SD & 120 on 5/30 at COL.
His first start vs. HOU, 4/6, was a ND in a 4-1 Cards loss. Jason allowed just one earned run on nine hits in 6.0 IP, walkingone with four K's. Led the Cardinals to a 5-1 victory on 4/12 vs. CIN. Allowed five hits and one run in 6.1 IP while striking out six. Also tripled inthree Cards' runs. Improved his record to 2-0 with a 3-2 win at MIL 4/17, allowing two runs on just three hits in a then career-high 8.0 IP. AllowedHR to start game, but set down his final 18 batters faced after Edmonds' diving catch in the 3rd inning. Allowed five runs on seven hits in 5.2 innings while fanning season-high eight batters on 4/22 vs. HOU and earned the winthanks to eight early runs of support. Cards won 8-7. Suffered his first defeat of the season on 4/28 vs. MIL, allowing four runs on five hits in 7.0 IP. Won his 20th career game as a Cardinal, receiving 11 first-inning runs of support, en route to a 15-5 win vs. SD on5/8...allowed four runs on six hits, including a season-high three HRs. Two solo homers by C. Floyd stood, as he lost 2-0 at NYM on 5/13...pitched 7.0 innings and allowed just three hits. Pitched 4.0 innings on 5/19 at PHI and allowed four runs. Tied his career high with 6 walks in a 7-4 loss. Won for the first time in four starts 5/30 at COL, allowing just four hits while walking five in his 6.0 IP. Cards scored three in the7th & went on to 5-4 win. Picked up his seventh win 6/4 at HOU despite allowing six runs (three earned) in 5.2 IP of 11-9 win. Helped his own causewith 3 hits & 2-run HR. Worked 8.0 strong innings, allowing just one run, in 8-1 win vs. NYY on 6/10 as he posted his 3rd-straight winning decision. Fanned just one batter in 13.1 IP spanning three starts from 6/15-26. Allowed just one run in 8.0 IP 7/7 at ARI but did not get a decision in the team's 2-1 loss. Scattered four hits (solo HR byStinnett) and walked one while striking out seven. Retired 17 of last 18 faced. Pitched 8.0 innings for the second-straight game, earning the win vs. HOU on 7/16, 4-2. Allowed a 2-run HR in the first butthen shut out the Astros the rest of the game, giving up six hits and two walks, with two K's. Worked a then career-high 8.1 IP 7/27 at SD, but suffered 2-1 loss on walk-off RBI-single by R. Fick in the 9th. It was his firstcareer complete game. Worked 4.0 perfect innings vs. ATL 8/6 before allowing six runs over his final 1+ innings (2 HR's by An. Jones), losing hisfourth-straight, 8-1. Lost his fifth straight on 8/12 at CHI, receiving only one run of support in a 4-1 loss. Surrendered three runs on 10 hits in 7.0 IP. Lasted just three innings and surrendered seven runs on eight hits to run his losing streak to seven games in a 10-0 loss atPIT 8/23. Pitched his first career complete-game shutout 8/27 at WSH. Was pitching on three days rest as his start was moved up a dayto take Mulder's place in the rotation (neck). Allowed the Nationals just two hits and walked none. Recorded 2nd-straight CG with 4-1 win at HOU on 9/4, allowing solo HR (Berkman) and no walks while fanning five. Heretired 16 of last 17 following HR. Registered his third-straight win in 3-2 win over Mets on 9/9 as he worked 8.0 IP, allowing just two sixth-inning runs (oneearned). His three-game win streak came to end 9/14 in 5-3 loss to the Pirates. Allowed three solo HR's (Eldred-2, Bay-1) in his 6.0 IP,but walked none. 2005 POSTSEASON -- Worked out of the bullpen in the NLCS after not seeing action in the Division Series vs. SD...pitched in threegames against HOU, suffering the loss in Game 4 after allowing an unearned run on three hits and three walks in 3.0 IP...finishedthe NLCS with a 3.38 ERA (5.1 IP / 2 ER). Jason was a key factor in the Cardinals' 2004 playoff run, as he posted a career-high 15 wins while surpassing the 200 innings plateau...Strung together a Cardinals' season high 11-game winning streak from 5/31-9/4. Pitched in 17 games during that span and threw 111.1 innings with a 2.99 ERA (37 ER)...His 11-game win streak was the longest by a Cards pitcher since 1985 when John Tudor also won 11-straight games...Finished the season with a 3.71 ERA in a career-high 32 starts...His win on 9/26 at COL gave the Cards their first quartet of 15-game winners since 1944 (Mort Cooper-22, Ted Wilks-17, Max Lanier-17 & Harry Brecheen-16)...His 2.17 ground ball/fly ball ratio (356/164) was N.L. 's 2nd best (Webb-ARI). Was ranked 6th in the league in pitches per start (104.00) and his .682 win pct. was 9th in the NL...Had 14 road starts with a 6-2 mark, 3.65 ERA. His 3.65 road ERA ranked T-14th best in NL...Made 18 starts at Busch Stadium where he went 9-5 with a 3.76 ERA...St. Louis scored 5.4 runs/start in Marquis' 32 games (174 runs)...Was first among NL pitchers in hits (21) & was second with 9 RBI (Hernandez-MON, 10). Six of his 21 hits were doubles. His 21 hits were most by STL pitcher since 1980 when Bob Forsch had 23...Ended a six-game hitting streak on 7/9 vs. CHI...was the longest hit streak by a pitcher since Mike Hampton had eight-game streak in 2002...Hit safely in eight of his last 15 starts (11-35; .314 BA), including three multi-hit games...Was 4-0 with a 1.59 ERA in five starts in July...RHB had a .271 mark (114-420) with 12 HRs vs. Jason while lefties batted .278 (101-363) with 14 HRs...Had 3.52 ERA after the All-Star break (6-3 in 15 starts)...Took the loss in his first Cardinals appearance on 4/6 vs. MIL. Pitched 5.1 innings and allowed six earned runs on eight hits, including HRs to Counsell and Overbay... Posted his first Cardinals win on 4/17 with an 8-4 victory over Colorado. Worked 7.0 innings, blanking COL over his final four innings...Both he & Cubs' starter Greg Maddux had steals in game on 5/3 at STL; first time since 1950 that two starting pitchers had base thefts in the same M.L. game...Went 3-4 at the plate on 5/31 with a 2B and scored twice. It was the first time a Cards pitcher had three hits since 4/20/00 (Ankiel, 3-3 vs. SD)...Missed scheduled start at CHI on 6/10 due to lower back spasms...Defeated the Cubs for 1st time in five career starts, and three in '04, on 7/9 by allowing one run on eight hits while matching a career high with 8.0 IP. Was longest outing since 10/6/01, an 8.0 inning 7-3 win vs. FLA...Did not get a decision in the 9-7 loss to the Braves on 8/14. It marked his first game at Atlanta against his former teammates. He surrendered a career-high four home runs in his 5.0 IP. Singled and drove in a run at the plate...Did not get a decision in his 9/10 start at LA, a 10-7 Cardinals loss. Went 6.0 IP and allowed five runs on seven hits, including three home runs. Extended his career best scoreless innings streak to 18.1 IP before allowing two runs in the second...he became a father for the first time earlier that same day when his wife delivered a baby girl. Had two singles and scored once...Suffered his first loss since 5/26 on 9/16 vs. HOU. Allowed seven runs (four earned) in 6.0 IP in the Cards' 8-3 loss to the Astros...Was a member of MLB's roster for the Japan All-Star Series from 11/5-14...he appeared in two games out of the bullpen and allowed three earned runs in 6.2 innings (4.05 ERA). 2004 POSTSEASON - Was 0-1 with a 5.65 ERA in four postseason games (three starts)...walked 13 batters in 14.1 IP and allowed 15 hits, 10 of them for extra bases...posted a no-decision in Game 2 of the NLDS vs. LA, allowing three runs on three solo HRs while walking four in 3.1 IP...allowed three runs on five hits in Game 4 of the NLCS at HOU while pitching four innings...tossed a scoreless inning of relief, while walking two, in Game 1 of the WS at Boston...suffered the loss in Game 4 of the WS, allowing three runs on six hits while walking five and fanning four. Split the season between Atlanta and Richmond (AAA), working a total games (17 starts). Started the season with Atlanta, but was optioned to Richmond on 4/19 after going 0-0 with a 6.57 ERA in three games, (two starts). His overall record at Richmond was 8-4 with a 3.35 ERA in 15 games (all starts). Was recalled 6/13 to replace injured RHP Roberto Hernandez and made three more appearances before being optioned back to Richmond on 6/26. Was recalled again on 7/28 to replace Trey Hodges on the roster. (15-day DL, muscle strain, right elbow) on roster. In Atlanta, recorded his first professional save in the season's final game at PHI on 9/28. Allowed 2 or fewer runs in 12 of his 22 starts, but 5 or more in 7 of the other 10. He went 4-1 with a 2.59 ERA (9 ER in 31.1 IP) over 5 starts May 11-June 9. In his back-to-back wins May 11 vs. SD and May 16 at SF, he allowed only 1 ER in 12.0 IP (7 H, 4 BB, 11 K). Was 3-1 in with a 2.60 ERA (10 ER in 34.2 IP) over 6 starts June 23-Aug. 3, before his Aug. 10 outing at Houston, when he permitted 5 ER in 3.0 IP. In his 2 games (April 9 at Phi and April 14 at Fla) prior to being placed on the DL April 15 with tendinitis in his right elbow, he allowed 12 ER over 12.2 IP. Pitched superbly in 2nd half, allowing only 17 ER (64.0 IP, 2.39 ERA) in his last 10 starts, going back to July 26 at Montrealb&Went 2-0 with a 2.45 ERA (7 ER in 25.2 IP) over seasonbs final monthb&As a starter: 16 G, 4-6, 3.26, 99.1 IP, 36 ER; in relief: 22 G, 1-0, 4.20, 30.0 IP, 14 ER...His 3-1 win San Francisco August 18 marked his first win in 7 starts (since June 24 at NYM)b& In Aug. 3 start at Milwaukee, when he was a last-minute substitute for an ailing John Burkett, he recorded career-highs with 13 K in 8.0 IP...Went 1-5 with 5 ND in 11 starts June 29-Sept. 21, but allowed only 22 ER in 68.1 IP (2.90 ERA) over that spanb&Braves run totals in those 11 starts were 1, 1, 5, 2, 2, 1, 3, 7 (including a 5-run 9th), 2, 3 and 2b&Braves averaged only 3.1 runs in his 16 startsb&Held opponents to a .234 BAb&In his first major league start, May 12 at LA, he received no decision in a 1-0 loss to the Dodgers (6.0 IP, 2 H, 0 R, 1 BB, 5 K). Began season at Class A Myrtle Beach, where he opened campaign by firing 20.0 consecutive scoreless innings...Allowed only one ER in 6 starts for the Pelicans (3-0, 0.28 ERA) before May 10 promotion to AA Greenville...Went 0-1 in first 2 starts before being sidelined for 3 turns in the rotation due to a tender right shoulder...Recorded first AA win at Jacksonville June 12 (6.2 IP, 2 H, 1 BB, 1 K)...Won 3 straight outings June 12-22 (18.2 IP, 12 H, 4 ER, 4 BB, 15 K)...Was on D.L. July 5-Aug. 1 because of a strained abdominal muscle...Struggled upon return, going 0-3 with an 8.06 ERA in 6 August starts...Endured control problems that month, allowing 15 BB in 22.1 IP...Named the Braves' No. 6 prospect by BASEBALL AMERICA. Began season as youngest pitcher in Carolina League...Won only 2 of 22 starts for Class A Danville 97s, losing first 10 decisions...Pitched better than record indicated, striking out 135 in only 114.2 IP, while walking only 41...Tallied 12 K in 6.0 IP (6 H, 3 ER) but dropped a 6-0 decision vs. Lynchburg July 19...Won back-to-back starts in August after 0-10 start through July 24. Tied for South Atlantic League lead with 14 victories and tied for 2nd with 28 starts...Won 6 straight starts April 29-May 25 (2.04 ERA, 35.1 IP, 27 H, 8 ER, 13 BB, 30 K)...Hurled 7.0 scoreless innings (3 H, 4 BB, 4 K) in a 1-0 win vs. Asheville June 4...Tailed off in August, losing 3 straight starts , allowing 22 ER and 20 H in 10.0 IP. Began pro career at Danville (Rookie Advanced). June 10, 2015 Cincinnati Reds released RHP Jason Marquis. June 5, 2015 Cincinnati Reds designated RHP Jason Marquis for assignment. April 5, 2015 Cincinnati Reds selected the contract of RHP Jason Marquis from Louisville Bats. January 21, 2015 Cincinnati Reds signed free agent RHP Jason Marquis to a minor league contract and invited him to spring training. January 21, 2015 RHP Jason Marquis assigned to Louisville Bats. August 31, 2014 Lehigh Valley IronPigs released RHP Jason Marquis. August 13, 2014 Lehigh Valley IronPigs activated RHP Jason Marquis from the 7-day disabled list. June 27, 2014 Lehigh Valley IronPigs activated RHP Jason Marquis from the 7-day disabled list. June 21, 2014 Lehigh Valley IronPigs sent RHP Jason Marquis on a rehab assignment to GCL Phillies. June 13, 2014 RHP Jason Marquis assigned to Lehigh Valley IronPigs. June 4, 2014 Philadelphia Phillies signed free agent RHP Jason Marquis to a minor league contract. October 31, 2013 San Diego Padres activated RHP Jason Marquis from the 60-day disabled list. August 15, 2013 San Diego Padres transferred RHP Jason Marquis from the 15-day disabled list to the 60-day disabled list. Right elbow strain. July 21, 2013 San Diego Padres placed RHP Jason Marquis on the 15-day disabled list retroactive to July 20, 2013. Right elbow strain. December 3, 2012 San Diego Padres signed free agent RHP Jason Marquis. November 3, 2012 RHP Jason Marquis elected free agency. October 15, 2012 San Diego Padres activated RHP Jason Marquis from the 15-day disabled list. August 23, 2012 San Diego Padres placed RHP Jason Marquis on the 15-day disabled list retroactive to August 22, 2012. Fractured left wrist. June 7, 2012 San Diego Padres selected the contract of RHP Jason Marquis from San Antonio Missions. May 30, 2012 Jason Marquis assigned to San Antonio Missions. May 29, 2012 San Diego Padres signed free agent RHP Jason Marquis to a minor league contract. May 26, 2012 Minnesota Twins released RHP Jason Marquis. May 22, 2012 Minnesota Twins designated RHP Jason Marquis for assignment. April 18, 2012 Minnesota Twins recalled Jason Marquis from New Britain Rock Cats. April 4, 2012 Minnesota Twins optioned Jason Marquis to New Britain Rock Cats. December 22, 2011 Minnesota Twins signed free agent Jason Marquis. October 31, 2011 RHP Jason Marquis elected free agency. August 23, 2011 Arizona Diamondbacks transferred RHP Jason Marquis from the 15-day disabled list to the 60-day disabled list. August 16, 2011 Jason Marquis roster status changed by Arizona Diamondbacks. August 15, 2011 Arizona Diamondbacks placed RHP Jason Marquis on the 15-day disabled list. August 1, 2011 Arizona Diamondbacks activated RHP Jason Marquis. July 30, 2011 South Bend Silver Hawks Traded SS Zach Walters to Potomac Nationals and Washington Nationals Traded RHP Jason Marquis to Arizona Diamondbacks. August 8, 2010 Washington Nationals activated RHP Jason Marquis from the 15-day disabled list. July 28, 2010 sent RHP Jason Marquis on a rehab assignment to Syracuse Chiefs. July 23, 2010 sent RHP Jason Marquis on a rehab assignment to Harrisburg Senators. July 18, 2010 sent RHP Jason Marquis on a rehab assignment to GCL Nationals. May 11, 2010 sent RHP Jason Marquis on a rehab assignment to Potomac Nationals. 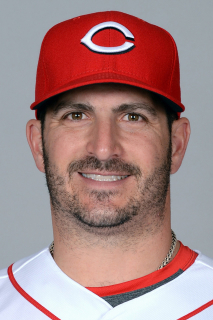 April 22, 2010 Washington Nationals placed RHP Jason Marquis on the 15-day disabled list retroactive to April 19, 2010. Loose bodies in right elbow. December 22, 2009 Washington Nationals signed free agent RHP Jason Marquis. November 5, 2009 RHP Jason Marquis elected free agency.